The concept of this book is intriguing: two people are ’stuck’ inside a room until the truth comes out. It reads much like the basis for the plot of the horror movie series ’Saw’ or how it would be to be stuck in a nightmarish panic room. 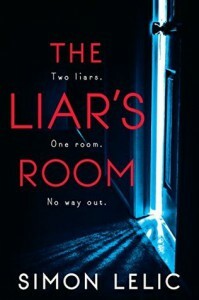 But in the case of ’The Liar’s Room,’ a dangerous client is keeping a therapist in her office, forcing the truth to come out about her dead son, and has let her know that he is holding her daughter hostage somewhere until she divulges everything. It is extremely rare for me to give up on a book for content, style, pace, just about anything. But I'm afraid to say that this one has broken my streak of finishing books because I do believe I should give them a chance right through until the end. But someone mentioned recently to stop reading a book if you're truly not enjoying it, and I got to a point in this one where I honestly was not enjoying it anymore. 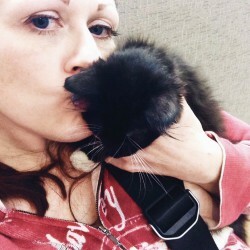 What absolutely did it for me was abuse to an animal (a cat) and this followed a fair amount of obscene language that I felt was over the top and ’reaching’ just a bit. I'm not a prude, or naïve by any means, and I'm not scared away by much (I actually read a lot of horror writing), but it felt like this was used as a plot device for shock value and didn't serve enough as part of the storyline. Additionally, the detail, since it was being explained as something being looked back on, was unnecessary and the situation that this happened within was feeling like a continued stretch to me. I was already having trouble staying with the story going from the therapist office (a static location) to lengthy descriptions of what happened in the past. It wasn't holding my interest how I hoped it would. I hate that I couldn't continue with this but once I got to that point in the book, I had that nasty image in my head and it wouldn't disappear. I can handle just about any horror movie, all the blood and guts, I'm not afraid of heights, needles, snakes, nothing. But don't give me animal abuse. I absolutely want to read Simon Lelic’s other books though; I have several on my TBR list. I'm actually a big fan of psychological thrillers. This one, however, was not for me.